Join us as we explore great Jewish literature together! 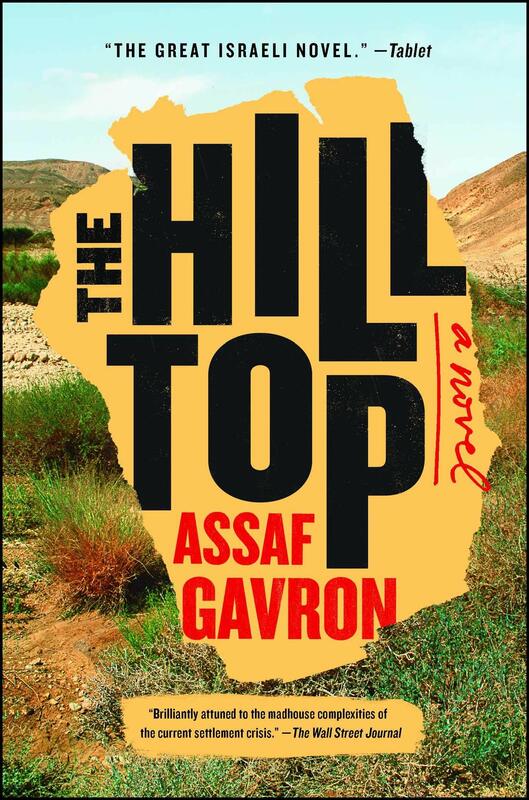 Hailed as “The Great Israeli Novel” (Time Out Tel Aviv) and winner of the prestigious Bernstein Prize, The Hilltop is a monumental and daring work about life in a West Bank settlement from one of Israel’s most acclaimed young novelists. This memorable novel by Gavron follows the fate of a small, not-quite-legitimate Israeli settlement in the West Bank and its denizens. Othniel Assis and a few associates founded Ma’aleh Hermesh C in the recent past, both despite and with the aid of various Israeli bureaucracies. While the primary story line charts the course of the settlers’ fight against the inevitable barrage of eviction notices and subsequent reversals, Gavron moves beyond simple political farce by weaving together the stories, both simple and complex, of individual characters. We strongly encourage you to support local bookstores when purchasing the books for the book club, such as Berkeley Books.